Beef flavoured gravy granules made with potato starch and rice flour. May contain egg and mustard. 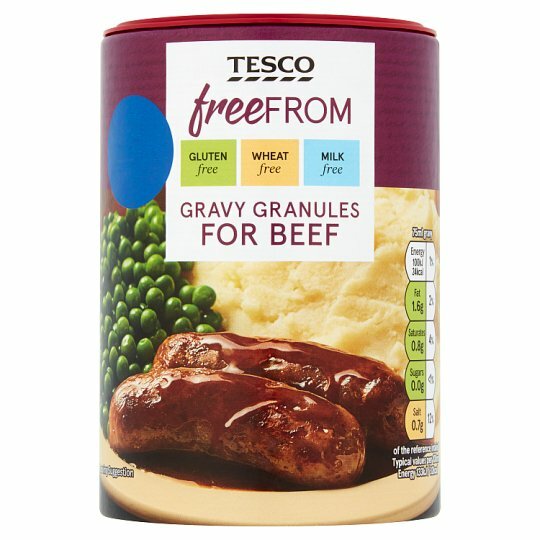 For 4 servings.Add 20g (4 heaped teaspoons) of beef gravy granules to a measuring jug, add 280ml (1/2 pint) of boiling water and whisk until the gravy is smooth. For thicker or thinner gravy adjust the amount of water added.